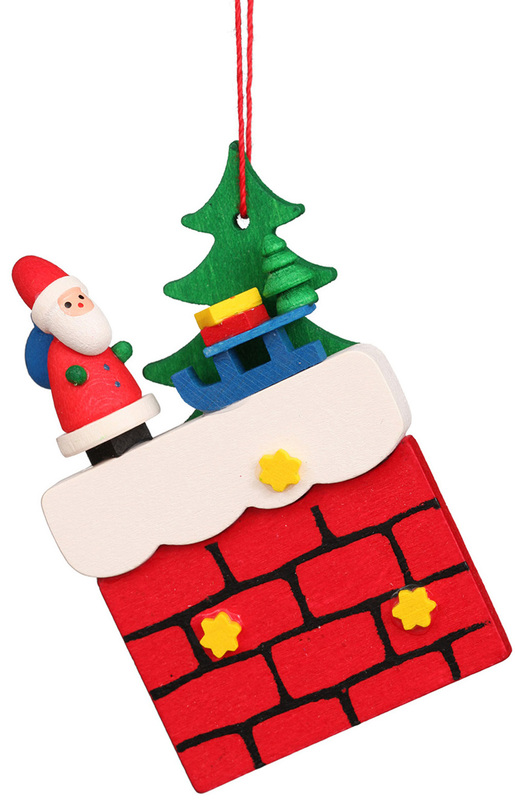 10-0408 - Ornament - 3H x 2"W x .75"D"
10-0408 - Christian Ulbricht Ornament - Santa on Chimney with Sliegh - 3H x 2"W x .75"D"
This whimsical hanging ornament has a Santa on a chimney along with a tree and his sled with presents. I hope he stops at your place! From Christian Ulbricht - assembled in Germany - made of wood.